Polished spun aluminum stuffing tubes designed to fit on the Enterprise/Choprite cast iron stuffing machines. The outlet sizes available are 3/8 inch, 1/2 inch or 3/4 inch. Be sure to specify sizes required when ordering. Use a 3/8 inch tube for sheep casings. 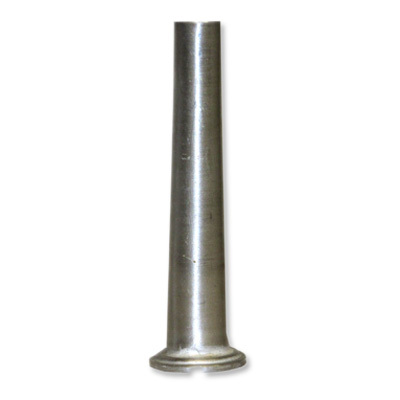 Use a 1/2" or 3/4" tube for hog casings. Use a 3/4" tube for fibrous casings.